Posts on this page/site reflect the personal thoughts and opinions of the writer(s), which are not necessarily those of the organization. Since 2006, Cave Moon Press (CMP) – a family-owned publishing company out of Yakima, WA – has been “bridging global and local issues through the arts.” Solid Ground has been fortunate to partner with CMP over the past four years. This book intends to honor people, not causes. After publication it is hoped that each accepted poet will combine readings around food and music with proceeds going to the local homeless network of their choice – e.g., your local VA, YMCA/YWCA, or nonprofits with programs that serve formerly homeless vets (such as Solid Ground’s Santos Place, etc.). In 2011, CMP published Denise Calvetti Michaels’ Rustling Wrens, and she chose to donate a portion of sales proceeds to Solid Ground and also spread the word about Solid Ground during her readings. Similarly, when poet Esther Altshul Helfgott published Dear Alzheimer’s: A Caregiver’s Diary & Poems in 2013 and Listening to Mozart: Poems of Alzheimer’s in 2014, she designated proceeds toward Solid Ground’s Penny Harvest youth philanthropy program (which her granddaughter participated in before the program sunsetted in summer of 2014). As Doug puts it, “Poets write. Poets read. So far poets have found a home at Solid Ground, and CMP is grateful and happy to bring awareness to their great work.” He adds that, “CMP has been able to help other groups around the country. Each nonprofit and poet set up what works in their community. They know their needs. 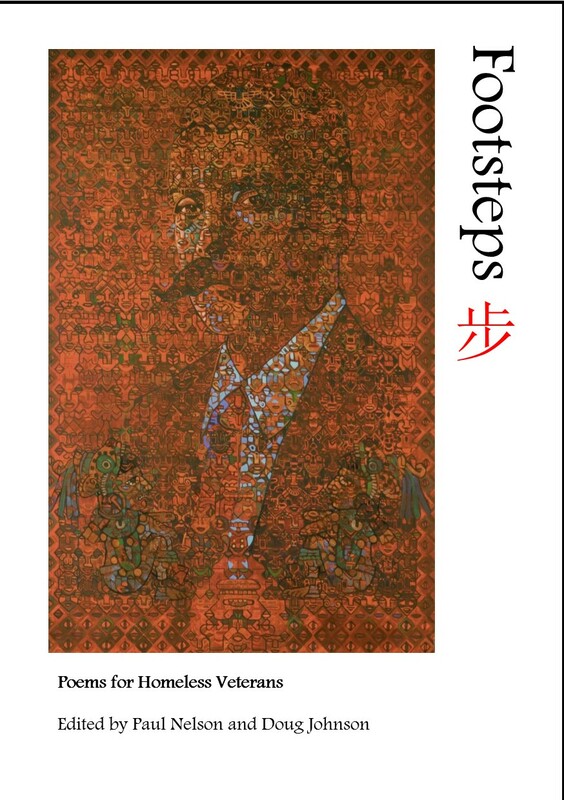 They have passions for their people.” With the publication of Footsteps 步 in 2016, CMP will continue their commitment to creating poetry and art partnerships that support social change.